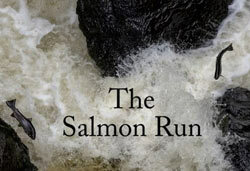 Graham has shot some wonderful footage from the rivers of North Wales, showing the annual salmon run. The video can be viewed on Graham's YouTube channel by clicking here. 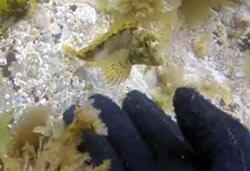 The third of Graham's videos is a look at the wonderful sea life that can be found in our local rockpools. The video can be viewed on Graham's YouTube channel by clicking here. 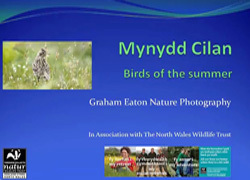 The second of Graham's videos relating to the wonderful wildlife found around the coastline of the Llyn Peninsula is now online and looks at the birds that you may come across during summer. The video can be viewed on Graham's YouTube channel by clicking here. 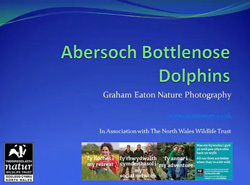 Award winning wildlife and landscape photographer and regular visitor to Abersoch, Graham Eaton, is producing a series of videos in association with the North Wales Wildlife Trust. The subject of the first of these videos are the Bottlenose Dolphins that are regularly seen off the coast of Abersoch. The video can be viewed on his YouTube channel here.